It IS Malefor, as are all the statues. However, they're in ANB/TEN style, not DotD. We don't know why he has two eggs at his feet. Perhaps to symbolize Spyro and Cynder's eggs. Just sayin', the possibility it isn't him is still open... It could just be somebody who looks ironically similar. Yeah, 'cause a random dragon that looks so much like the guy who wants to destroy the world makes complete and utter sense. Why would they have a statue of Malefor in the temple? Cause he was good at one time, and was a very important purple dragon, i think. I guess he was idolised. He was the first to harness such a vast amount of power and was therefore looked up to. He only turned evil when he relalised what such power could do. It most likely is Malefor. But it could also be one of the ancestors or a purple dragon that lived after Malefor. Actually, Bolt, it was confirmed that the statue in the Dragon Temple AND the Well of Souls was Malefor. The one in the Dragon Temple showed him before his corruption, and at the one at the Well of Souls shows a more evil look to him after he turned evil. I always assumed it was the chronicler, actually. I know he wasn't a charatcter in a new beginning, but I thought it was foreshadowing or something for the eternal night. Makes sense it could have been a first Chronicler, even before the one we know. It does look very old, with the moss and whatnot. It annoys me all you people say "ITZ MALLFUR" and "KINDOM WAZ TEST TITLE" and shoot down any debate. OK, I was just playing The Eternal Night a few minutes ago and I was in one of the dream levels where the Chronicler teaches Spyro the elements. When I was right outside the last room, where Spyro looks into the pool and talks to the chronicler, I saw two dragon statues, the same as the one in the dragon temple. There are the two eggs beside it and everything. This makes me think that it is actually a statue of the chronicler. Also, the company who made DOTD was different than the one that made ANB and TEN, and since neither Malefor or the Chronicler showed up in ANB or TEN, the statue wouldn't necessarily be Malefor just because it looks like him. ^ That leads me to think that this was either a young version of the Chronicler or the one before him, if have to go with the latter, because the current just doesn't share many similarities. There is also one in The Well of Souls, which if you follow this new theory, infers that it used to be a much more peaceful place as a simple mountain. If only the franchise had gotten more time. it's malefor. the chronicler's horns/entire body are different and we see a similar (possibly the same) statue in the fortress later in eternal night. in dawn of the dragon, we know he was worshiped at some point, so the eggs may just be a symbol of him as a guardian (and a possible clue about what terrible thing he could have ultimately done that got him banished). Oh, I don't even doubt it's Malefor, but why not theorise? What is it you people have against different thoughts? 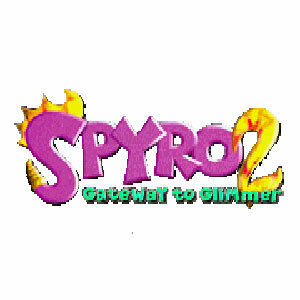 Spyro's Kingdom was never confirmed as the Skylanders test title yet you all solidly state it like fact. And again I said an OLDER Chronicler, there must have been one by TEN unless The Eternal Night Of Darkness counts as a new generation and I doubt the Chronicler from DoTD was a new one. I'm fine with you guys saying it's pretty much certain, but when you just try to shut down all other theorising repeatadley, that's outright rude, especially when the original questoner got answered. if you want to start a topic for theories or fanon ideas, nothing says you can't, but this isn't a topic about either of those things. the implications from dawn and eternal night suggest that the chronicler we see was malefor's teacher in life (and possibly an architect of warfang). in dawn it is stated that there are only two purple dragons: malefor was the first and spyro is the last. given what malefor says near the end, the implication is that the old world was destroyed long before his birth but had reached a state of corruption by his appearance that necessitated destruction again (this destruction was put off for a thousand years by malefor's imprisonment/death). an older chronicler would have been instated at the birth of the new world (the way ignitus was at the end of dawn) and it seems unlikely that anyone would worship such a figure so distant to memory. "The image of the great Guardian statue above was an homage to Dragon culture in general, but more specificly a stately and regal representation of an actual ancient Dragon hero... the last Purple Dragon before Spyro's time. Indeed it was my intention to have this statue foreshadow Spyro's future, and set down a clue as to what he may even look like in the coming decades. From the very outset I wanted to portray what a fully grown adult Purple Dragon would look like, how it might stand and carry itself, and I pitched the idea that the statue itself was actually a representation of The Dark Master.... before he renounced the path of good. So you could say that right from the beginning, from 'the new beginning' we had already caught a glimpse of the Dark Master... I thought it a very fitting and 'full circle' type thing to do." There's the proof... But I wonder why there was a statue of Malefor was in spyros dream. jarred s. pollen is a very talented fellow. from a cost-saving standpoint: krome probably wasn't able to build anything new for that. from a story standpoint: faun always thought it was a hint that the chronicler was evil (faun still doesn't fully believe he isn't) and in league with the dark master. it could also be a warning, or spyro's subconscious filling his dream space with semi-familiar things. Yes, but the original questioner has already moved on, so why not use this dead husk of a topic to theorise? And also, it is not the only time my thoughts have been "Nope"'d. Well there you go. All you had to do was post that sooner. And even if it is confirmed, there is no reason you can't have fun and change it and see if in your own way to make things a bit more interesting. Why, this topic... It's inspired me to get back to writing fanfics! it could also be a warning, or spyro's subconscious filling his dream space with semi-familiar things. That's true. The statue was probably only in the dream because it was inside of the temple, and it would have been a very familiar thing to spyro since he lived there and might see it everyday. Also, the player would probably feel the same way, because they would remember the statue from the previous game. Since Malefor was the first purple dragon, they were so amazed by him they made a statue of him before he became evil, obviously. And don't fight me there, because it's obvious. I see it, and I don't care if you don't. It's so obvious. I bet even if you asked the creators, they'd say yes about it being Malefor before he became evil. Well, since it is Malefor, of course it would be before he turned evil, otherwise why would there be a statue of him? And in dotd it was said that Malefor was respected and looked up to at one time. In the ruins of warfang, you see where Malefor was trained, and Spyro said they had such high hopes for him.